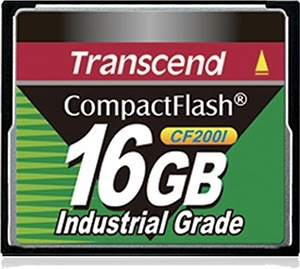 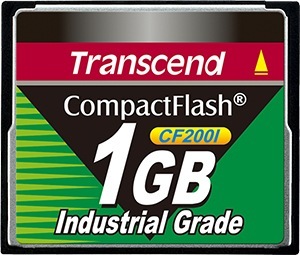 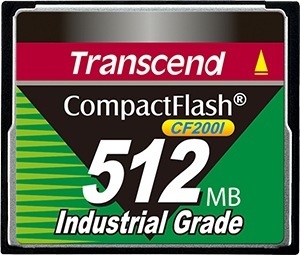 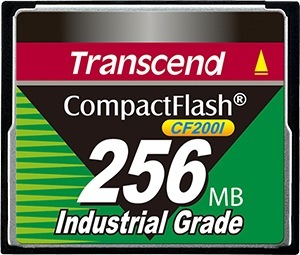 Transcend's CF200I Industrial Grade CompactFlash cards are specifically designed for industrial and mission-critical applications. 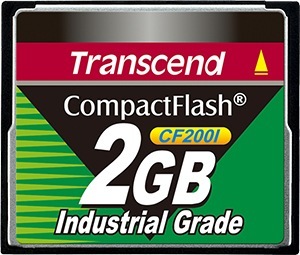 Built extra-rugged with excellent temperature flexibility, shock and vibration resistance, less power consumption, and higher error detection and correction capabilities, the CF200I CF cards provide industrial users with extra durability and reliability. 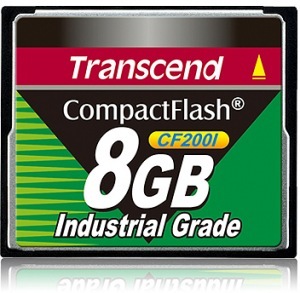 Thanks to its use of StaticDataRefresh technology which monitors the error bit levels at each read operation and the EarlyRetirement technology that moves the static data to another block before the used block becomes completely incapable of holding data, the CF200I Industrial CF cards can effectively correct data errors and extend the flash memory lifespan. 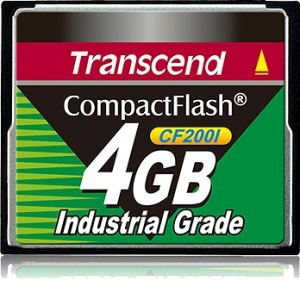 For added value, Transcend’s CF200I cards support Flash Life Guard software, which gives a notification as the card approaches the end of its life cycle. 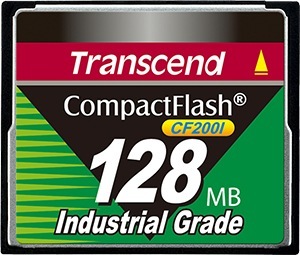 With superb performance and compatibility, the CF200I cards are ideal for industrial PCs, embedded systems, medical instruments, factory automation systems, and other industrial equipment.